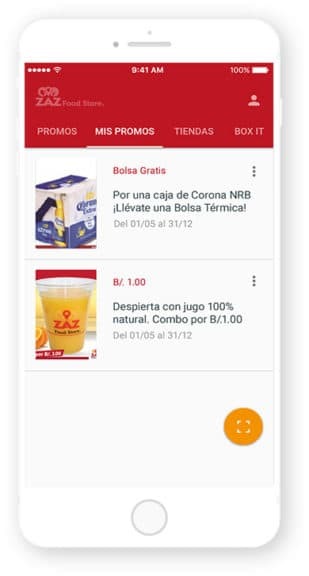 A native application for iOS and Android smartphones for ZAZ Food Store in Panama. The new application allows users to view products, menus and promotions from the cellular in real time. It also allows users to organize their shopping lists, comment and share experiences on social networks. The app developed by Cuatroochenta has also a QR code reader to consult products, shops or promotions as well as a locater of the closest establishments.